Learn below how Ray, John and their craftsman Matt Waites used a mix of 7 techniques to lighten up, brighten up and embrace the inside and outside surroundings to make a spectacular remodeled bathroom. • Technique 1 – Create a larger window opening – The serenity and natural light possibilities of this eastern bathroom needed to be maximized. 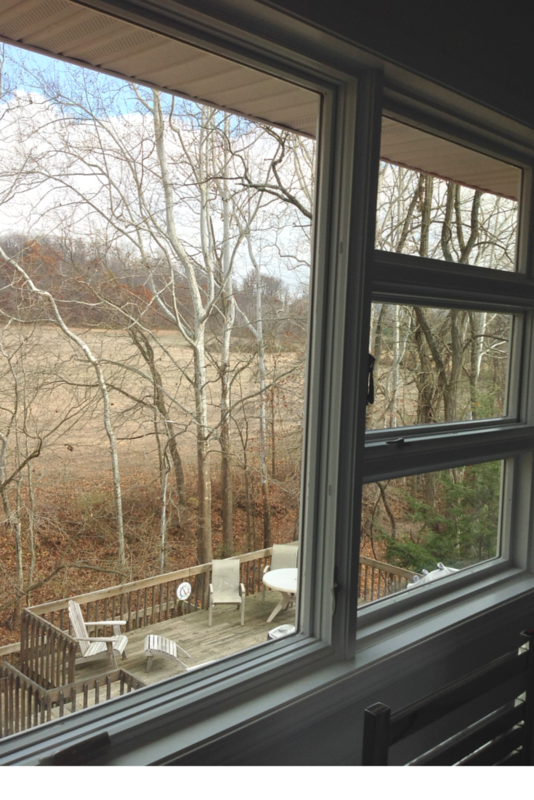 The old double hung window was replaced with a larger Frank Lloyd Wright inspired window with a fully operable casement window on the left (providing even more air flow than the old double hung) flanked on the right by a stack of two fixed lite windows and an operable awning window in the center. • Technique 2 – Mirror, mirrors on the wall – Using a bank of full length mirrors on the cedar lined master closet and the medicine cabinets creates the feeling of a larger space and reflects the beauty of the bathroom and the panoramic outside. 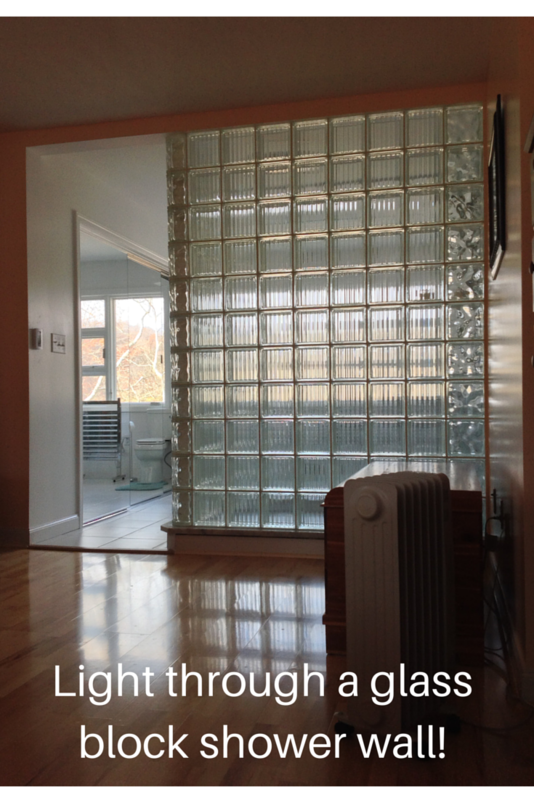 • Technique 3 – Moving light through the space – a modernistic frameless glass and glass block enclosure – In the old shower a one piece fiberglass shower not only made too much noise but it blocked light from the window in the bathroom shining into the bedroom. 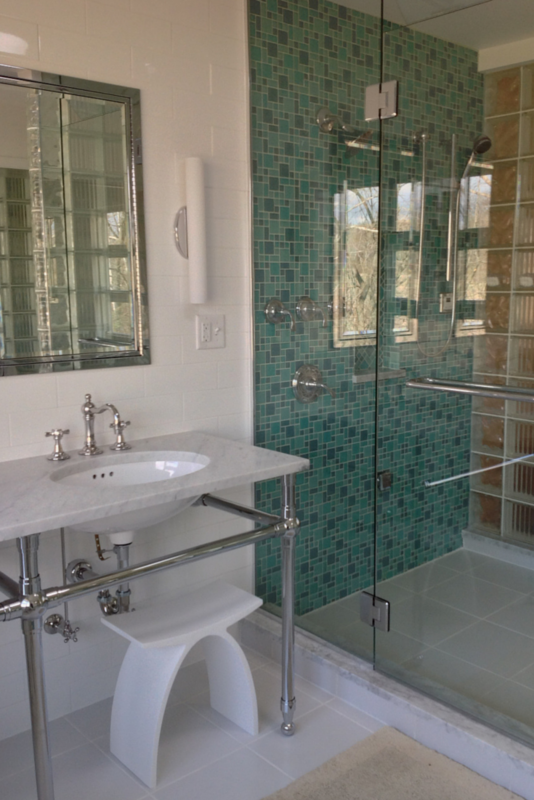 The completed project has a 3 sided steam shower with one wall being a frameless glass enclosure/door and two walls using a decorative – yet private – glass block structure. 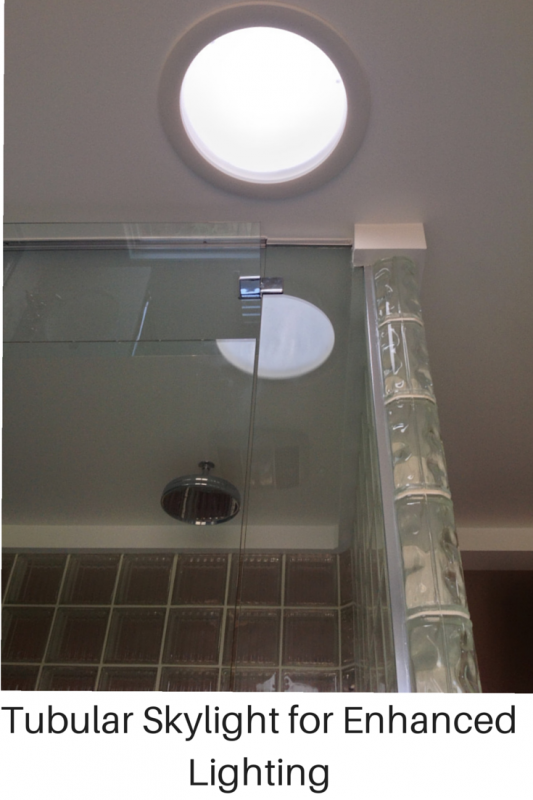 • Technique 4 – Embrace modern technology – a roof-mounted tubular skylight – Why settle for “daylight” when you can also enjoy the benefit of nighttime “moonlight.” The tubular skylight reflects light from above at all times of the day. Check out the attractive illumination of this master bathroom at night! 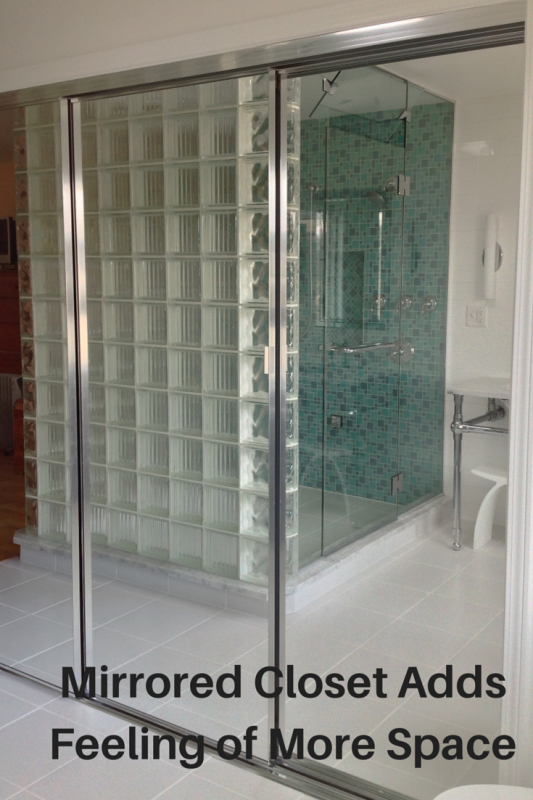 Technique 5 – Use classic white tile – Using a combination of large 13” x 13” floor tiles and classic white subway wall tiles not only provides a fun contrast to the multi-colored glass tile shower wall – but it brightens the room considerably. 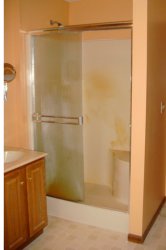 • Technique 6 – “Hidden” night lighting – Even in the darkness of the evening or early morning it’s easy to find things with the interior lights tucked away in the mirrored medicine cabinet and master closet. • Technique 7 – Marble and chrome vanity top – Ray and John really enjoy the subtle sophistication (and easy to clean properties) of this Carrara marble vanity top with chrome trim and plumbing fixtures they purchased at Restoration Hardware. They provide perpetual brightness to the room. 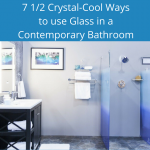 Which of these 7 techniques would you consider using for your next master bathroom remodeling project? Please comment below. 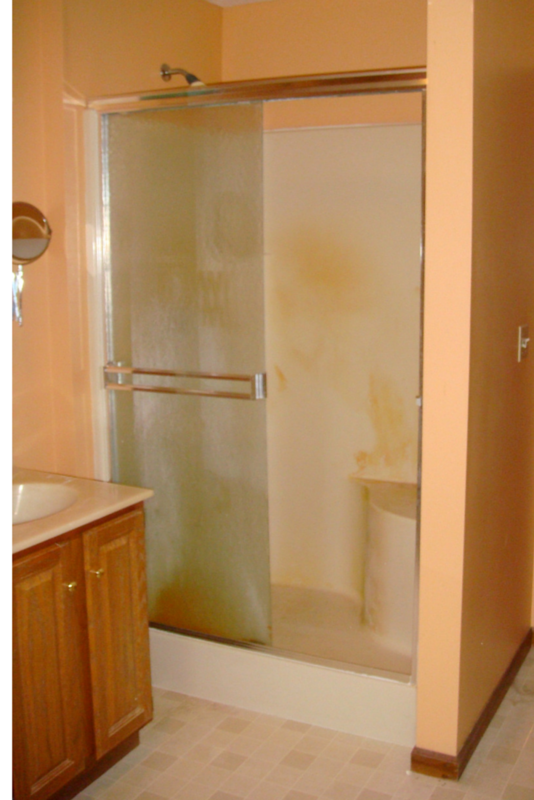 For more information about the glass block shower call Innovate Building Solutions on a nationwide basis (877-668-5888) or for a local project their divisions including Columbus Glass Block (614-252-5888) or Cleveland Glass Block (216-531-6363) divisions.